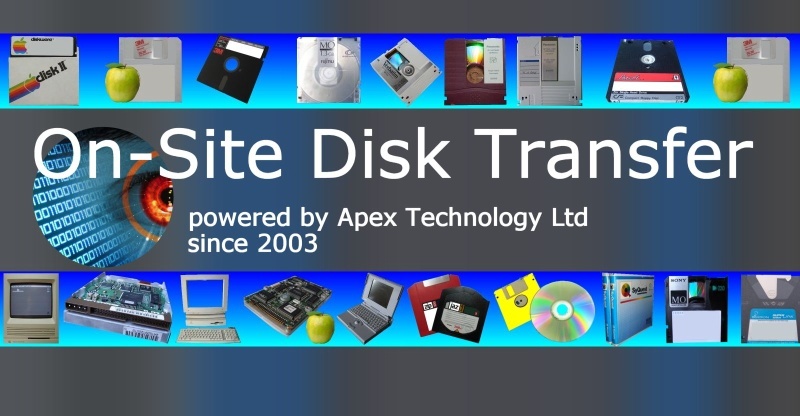 If you need a On Site File Transfer Disk Conversion and data recovery service, then contact our friendly company. When privacy and security are a concern, then performing disk conversions, transfer of files or data recovery on a client site often overcomes a lot of red tape that would be involved if disks had to leave the customer's site. We have recovered data, migrated files, converted document management systems at customer's sites for MOD, NHS, Banks, both in the UK and Abroad. Our simple tried and tested site procedures make it easy for clients to overcome internal department objections to using outside services, reducing file migration timescales and often overcomng what was seen as impossible tasks.